The fry ponds are now full, and tinged brown from colouration in the chicken manure pellets that has leached into the water. The weather where we live has been typical for April in the UK; showers, and sunny periods. The more sun the better as far as I’m concerned as that seems to be a key ingredient in cycling the ponds. Inside the polytunnel, everything is going fine. I have a new UV for the females pond that will need plumbing in at some point, but right now – the pond seems to be staying clear enough for me to be able to see the fish which takes some of the urgency away from the UV install. 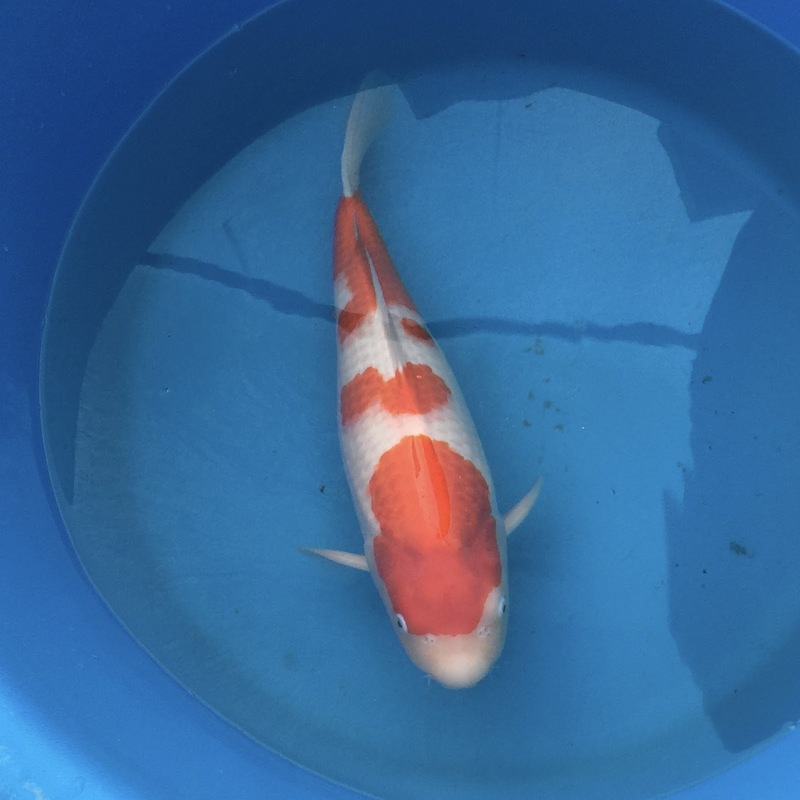 In the tosai pond – one or two are starting to stand out as decent prospects. But we’ll only know for sure the kind of quality we have when we catch them and see them up close. I was hoping to have done that in March/early April. But other priorities took over, and I may leave this until mid May. They are 80 or so tosai in the tank and growing at a decent pace now - the pond is starting to look full. This presents a growing case for thinning out the tank but I have reason to keep them all on the growth path. I’ve made 50 of them available for a koi club who’ve asked to use my home bred kohaku’s for their summer grow and show competition. I am very chuffed that my home bred’s would be considered for such a thing. As a result, I’m trying to grow all of them as large as possible before the pick up day, due late May. 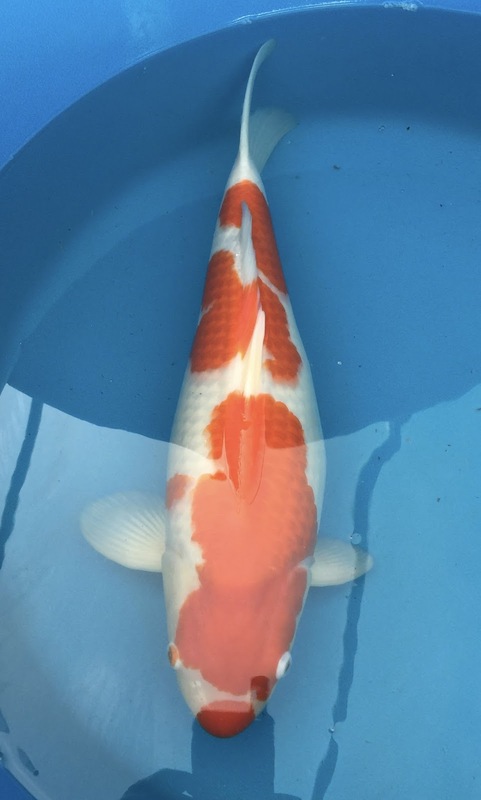 That coincides with prep for the South of England koi show - so there is some goal congruence there. I’m probably missing out on some growth by not thinning out, and I’ll keep a close eye on the water quality – I may move some nissai out of the growing on system to alleviate some pressure from the bio filter. 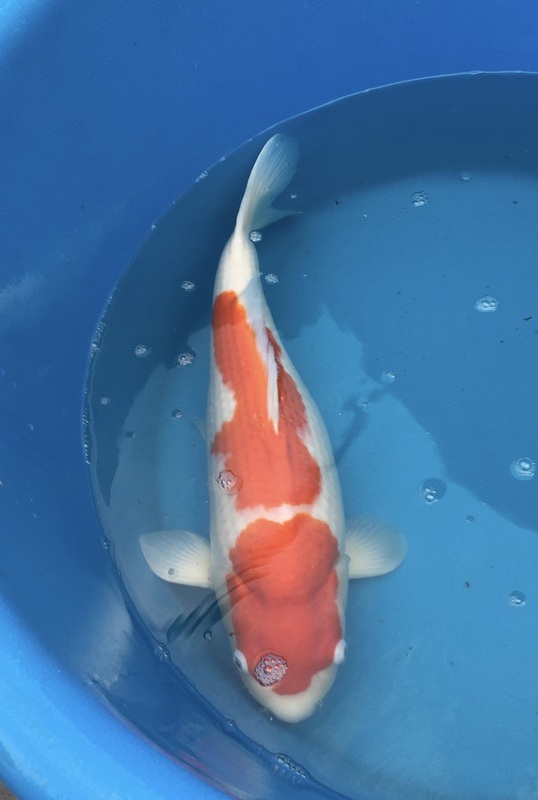 Thing is that I don't need the fish to be so large in June; size 2 at the South of England show covers koi from 25cm to 35cm and I'll need some small ones that are under 25cm if I'm to be able to put forward a few in size 1. So pushing the largest on to over 40cm isn't necessary. Sexed this one as male last weekend. And it measured in at 56cm. I've been keeping this one through each selection to see how the body develops and so far, I'm really pleased. A shame it's a male; as a female, I'd have kept this one for years to see how it develops. As a male, it s a more difficult decision what to do. This 2 step from the May 14 spawning was looking superb 2 months ago. the skin was brilliant white. and the body was also looking good. since then - it's started to look stocky, and she has eggs developing in an unbalanced manner. I may try spawning her to shed the eggs and try to straighten out the body. This one has nice skin compared to the others in the spawning; but the body has stayed the same shape since it was 10cm - too volumous underneath, and a bit rugby ball like. might try spawning this one too and see if the shape improves.